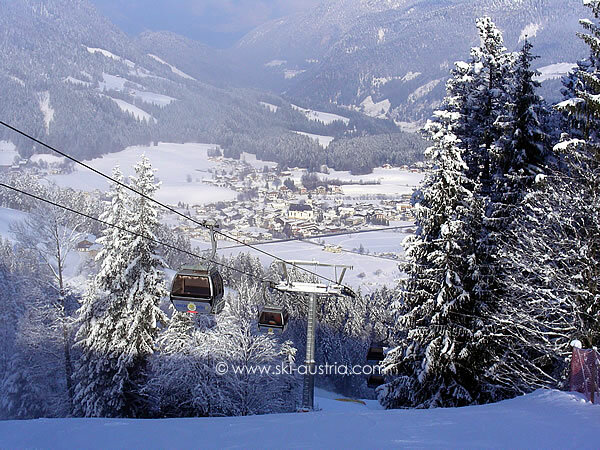 Söll is known as the principal ski resort in what is claimed to be the largest interlinked ski area in Austria - the SkiWelt. 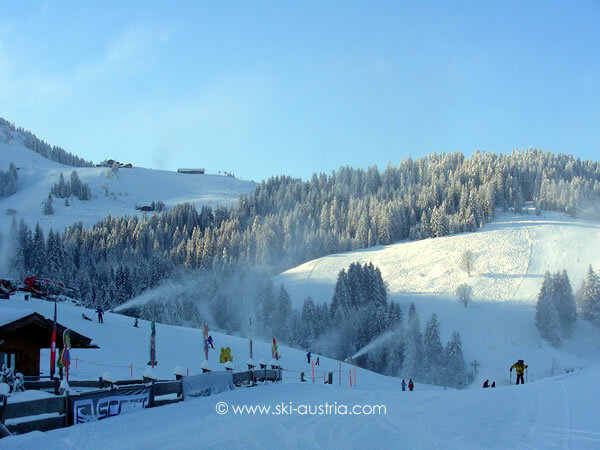 Popular because of its easy access from the Inn valley motorway, its typically Austrian village atmosphere and the range of intermediate slopes, Söll has served as the introduction to skiing for generations of European skiers. 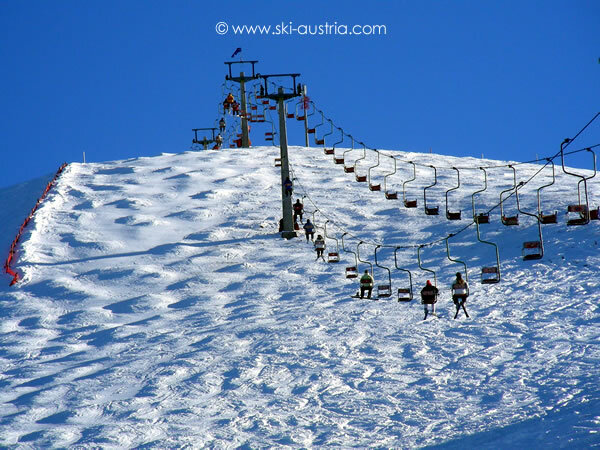 But although deservedly popular for its easier runs, Söll and the SkiWelt should not be discounted by more advanced skiers. 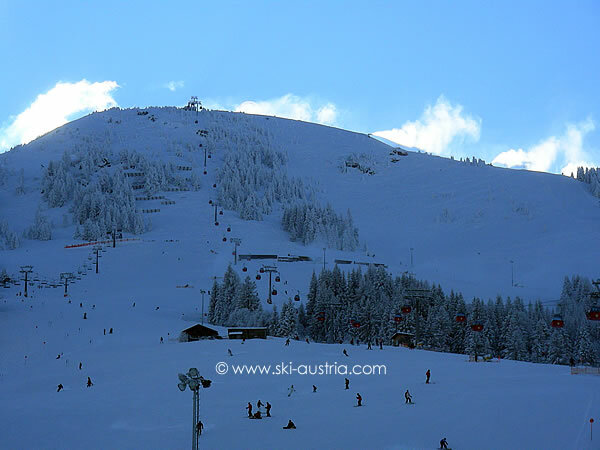 Söll's ski area is located a short journey outside the main village area, across the main road, and up a slight incline to the base of the mountains surrounding the Hohe Salve. Access is by foot for the fit (or those with accommodation near the lifts) or by frequent ski bus. Beginner lifts and ski school are also located on the fields to the side of the road up to the gondola. The Hochsöll gondola provides access into the main ski area above Söll, as well as to the wider areas of the SkiWelt connections. Skiers exit the gondola at the top station in the middle of the range of intermediate pistes above and below the building. A red run leads down under the gondola back to the bottom of the lift. This is a good warm-up run in low season with good snow, but it is often overcrowded later on in the day, and can be complicated by skiers struggling with bumpy or icy conditions. Another easier run heads down to the resort from the base of the Salvenmoos lift. The bulk of the Hohe Salve mountain towers above the area of Hochsöll and a wide expanse of easy red runs are available from the different chairlifts to the left and right of the Hohe Salve gondola. Those taking the gondola up to the fabulous views from the top of the mountain are then confronted with two black runs or some easier reds. The black run on the other side of the mountain leads down towards the connections to Hochbrixen and Hopfgarten. The routes through the trees which are visible on the way up the gondola are part of a black "run", which could more appropriately be called an off-piste area as skiers and boarders tend to take advantage of the available snow. Off to the right of the gondola an area of difficult bumps often develops, which can be very tricky in icy conditions. The red runs from the top of the Hohe Salve head down the ridge initially and then towards the Rigi area. This has well-signposted connections to the Hopfgarten and Itter areas, although the run to Itter can sometimes be closed due to poor conditions at the bottom. An alternate route into the rest of the SkiWelt area is provided by the Keat chairlift. A run from the top of this heads off to the left and around to the Silleralm chairlift and the connections to Hochbrixen and Scheffau. 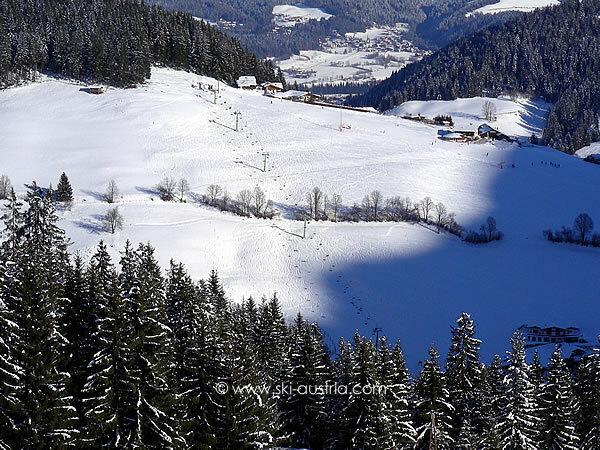 Skiers returning from Scheffau, Ellmau and Brixen at the end of the day may be rushing to catch the last lifts over. The vital lift to head for is the Kalbersalve lift, which appears to head part of the way up the Hohe Salve on the Hopfgarten side. 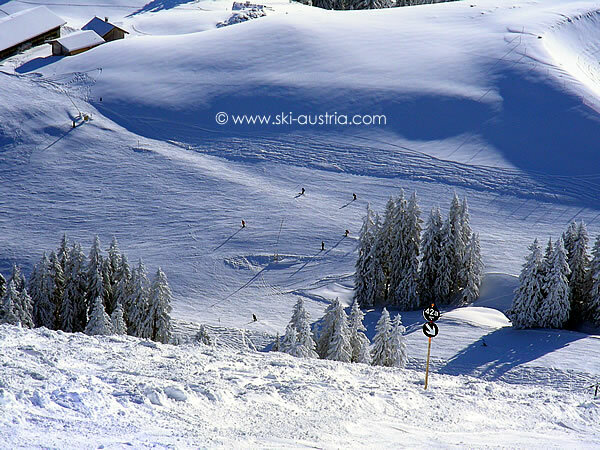 Instead of skiing to that side, however, the route back to Söll heads back in the direction of the bottom of the lift for a small distance and then takes a hard left underneath it and around in the direction of the Silleralm chairlift. It should be noted that there is a not particularly well-marked traverse on the slopes about halfway up this lift which will lead onto the blue run directly to Söll and which avoids the need to take the chairlift up again. Looking for the best ski accommodation in Söll? 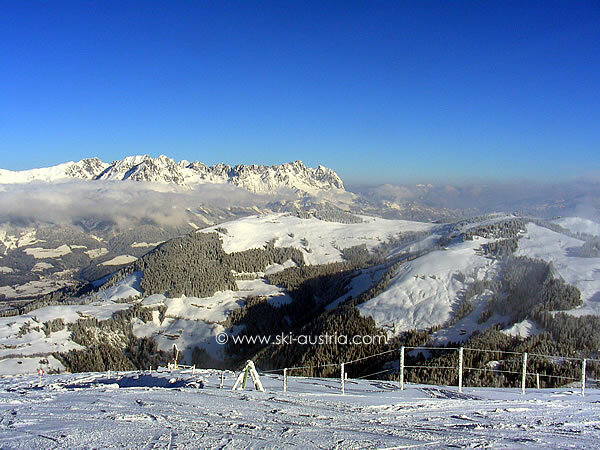 The live webcam stream below shows the main Hochsöll area from the top of the Söll gondola.